That's very important when we confirm with your stay when calling the hotel! Before our greeters meet you, they can also learn about your city! We might send you a postcard from Shanghai! We also recommend that you get a local number once you arrive. You can get it in the newsstand without ID registration. When there's no clear info about the stay, your request would be declined. Mandarin English French German Spanish Italian Other, let us know in the box below! Our volunteers speak more than 10 languages, please let us know what language that you'll be comfortable taking the greet with us! You can also leave it to Greeter's Choice! We don't greet on your arrival and departure, or your request will be declined! Rain or shine, we'll try to meet your wishes! We can do better in our marketing! Yes, I understand I can't hold Shanghai Greeters liable if any accidents happen on the trip. I'm fully responsible! Please go to Global Greeter Network's website to learn more about us! All of our greeters are responsible adults who have passed face-to-face interviews, signed agreements and will follow our guidelines. 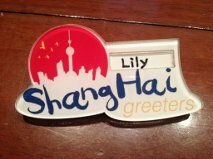 Your greeter should wear a Shanghai Greeter's badge when he/she comes to meet you. Usually more than one greeter will tag along to observe and learn. Visitors will be informed if there are more than one greeter. Visitors who used our service all agree: traveling with greeters is the best way to know a city! Generally it's pretty safe to travel in Shanghai, but we hope you still stay cautious! 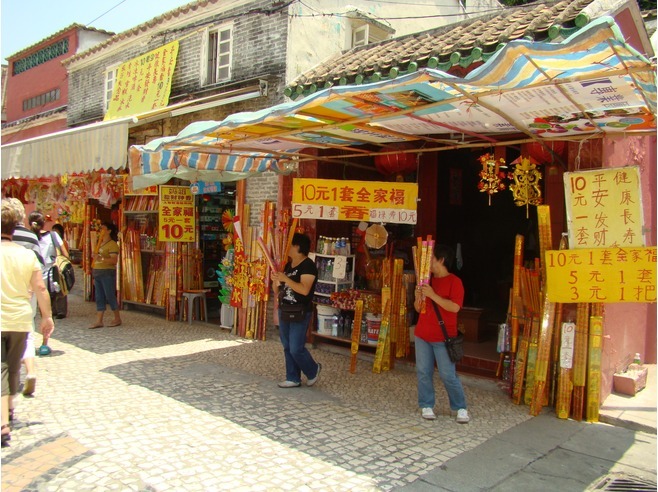 127 Tips on Shanghai Warnings & Dangers!